Petchey Leisure’s six properties in Europe continues to be a part of the RCI network of affiliated timeshare resorts, the global leader in vacation exchange. Petchey Leisure’s six properties are located across Portugal, Spain and Tenerife. 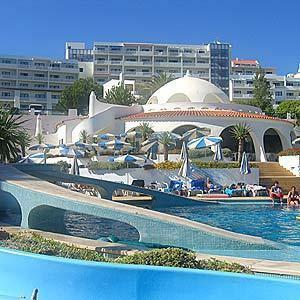 Pictured is Oura View Beach Club in Albufeira, Portugal. “RCI invented the exchange business nearly 40 years ago and has been the innovator and leader ever since,” said Isla Murray, project director of Petchey Leisure. “Innovation is important to our business and I believe Petchey Leisure and RCI share the same vision for our industry going forward. We have worked successfully with RCI for many years and we are happy as always to continue that partnership. “We are delighted by Petchey Leisure’s continued commitment to RCI. Magnum Global Holdings Singapore Pte. Ltd. (associate of MGM) is new to our industry and as a hugely successful hospitality company, it brings with it great credibility,” said Dimitris Manikis, vice president, Business Development, RCI Europe, Middle East and Africa. “Our association with Petchey Leisure brand instantly makes this group a major player in the European market. We look forward to a long and successful partnership,” Manikis said. Petchey Leisure is one of Europe’s leading leisure brands. Starting with one resort in Albufeira, Portugal, in the early 1970s, the company has expanded its portfolio and products over the years to encompass many fully-owned and managed holiday resorts in Portugal, mainland Spain and Tenerife as well as inventory at a number of other resorts in Europe and worldwide. Wyndham Worldwide, one of the world’s largest hospitality companies, again demonstrated its ongoing leadership in global sustainability best practices, achieving an 8 percent reduction in energy use in the first full year of the U.S. Department of Energy’s (DOE) Better Buildings Challenge. The government program, launched in 2011 by President Obama, calls on commercial businesses and industrial facilities to reduce their energy intensity by 20 percent by 2020. This program aligns with the Company’s goals to reduce carbon emissions by 16 percent by 2017 and by 20 percent by 2020. Additionally as of 2012, Wyndham Worldwide has reduced its global footprint in over 40 countries of its owned, managed and leased assets by 11.7 percent based on carbon per square footage. “We are continuously developing eco-friendly efforts across our hospitality portfolio, and this latest achievement of meaningfully reducing our energy use further demonstrates our commitment to advancing environmental sustainability best practices, which is a pillar of our strategic priorities,” said Stephen P. Holmes, chairman and CEO of Wyndham Worldwide. “Through our Wyndham Green program, we are committed to exploring and adopting innovative environmental practices, as it reduces costs, fosters the efficient use of resources, and ultimately supports both near- and long-term profitability," Holmes said. “Our work in sustainability is a tremendous collaboration across all key stakeholders — shareholders, employees, customers, franchisees, suppliers and community partners — who not only develop ideas with incredible potential, but also transform them into tangible results and drive leadership in the industry,” said Faith Taylor, senior vice president sustainability and innovation, Wyndham Worldwide. Following are highlights of the Company’s featured projects in the Better Buildings Challenge: WVO Green Certification Program, one of the first for the industry. The certification tracks 27 requirements in categories such as energy use, water use, waste reduction, indoor air quality, and education. Updating their rooms and building insulation systems with eco-friendly materials. Switching to ENERGY STAR appliances and using CFLs for all interior lighting. Changing all building exterior lights to high-efficiency bulbs. For more information on Wyndham Worldwide’s showcase initiatives, please visit the U.S. Department of Energy’s Better Buildings Challenge website. Festiva Hospitality Group acquired six new vacation destinations for its resort portfolio from Arkansas-based Escapes! Inc., including properties in Alabama, Arkansas and Missouri. The expansion is second only in size to the Peppertree Resorts acquisition of 2007, when Festiva added 10 resorts to its property mix. This latest transaction also adds approximately 9,000 timeshare owners and club members plus nearly 4,000 intervals to the company. “We have been looking for high-quality and well-maintained properties in the Mid-South and Gulf Coast to add to our resort offering,” said Festiva Hospitality Group Senior Vice President Rich Hartnett. “A good number of Festiva members live in these areas as well as the Midwest, and they have asked for vacation options closer to home. This transaction not only gives our members what they have been waiting for, it also gives these Escapes! owners the ability to gain access to the Festiva Adventure Club, its privileges and 34 destinations,” Hartnett said. This oceanfront Gulf Coast property is Festiva’s first location in Alabama. Amenities include oceanfront balconies, indoor and outdoor pools, steam room, sauna, fitness center, and beach access. One of Festiva’s three additions in Arkansas, Los Lagos at Hot Springs Village is located 20 minutes from Hot Springs National Park and close to area theme parks. The 26,000-acre property has nine golf courses, 39 miles of trails, a performing art center, two marinas, lakefront access, fitness center, indoor pool and outdoor pools. 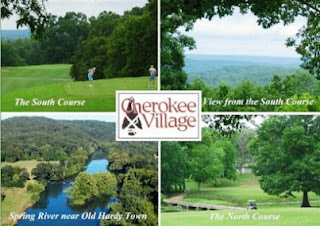 The second Arkansas property for Festiva provides guests access to eight pristine golf courses and seven lakes. Resort amenities include on-site clubhouse, swimming pool and tennis courts. The third Arkansas property for Festiva is located on Lake Thunderbird in an area acclaimed for its natural beauty. The resort gives members access to fishing and boating on the lake, 36 holes of on-site golf, swimming pools, tennis courts, and a recreational center. Festiva adds its fourth Branson property with the Branson Yacht Club, located on Table Rock Lake with a half mile of private shoreline. Resort amenities include two swimming pools, boat launch and marina, tennis courts, and water-sports rentals. Located on 3,200 wooded acres just10 minutes from downtown Branson, Stonebridge Village rounds out Festiva’s five Branson properties. The resort includes an 18-hole golf course; country club; fitness center; swimming pool; and lake access for boating, fishing and swimming.